I'll never forget my first volunteer experience as a young girl. It was a beautiful summer day and all of my girlfriends were heading to the pool. I, on the other hand, was instructed to find the plants that didn't look like flowers and pull them up by the root. At first, I whined and complained. But after I surrendered to the work, I had a lot of fun. I remember being so proud of what I had accomplished, and the look on the homeowner's face was the most heart-warming feeling. Something I could never feel by just selfishly filling my own desires. Since being in recovery I've realized that volunteering is not only fulfilling, but it's truly my calling. There are so many people in need. Taking an hour or two out of my life to give back is the absolute least that I can do. I am on a mission to find as many people as possible to serve in the best way possible. I believe that's why I'm on this planet. I have been serving as the Nashville National Ambassador for Project HEAL since 2017. Project Heal: Help to Eat, Accept and Live is a 501(c)(3) not-for-profit organization in the United States, a federal not-for-profit organization under the Canada Not-for-profit Corporations Act (NFP Act), and a Certified Incorporated Association in New South Wale provides grant funding for people with eating disorders who cannot afford treatment, promotes healthy body image and self esteem, and serve as a testament that full recovery from an eating disorder is possible. Since its founding in 2008, Project HEAL has raised over $1,000,000, provided treatment grants to over 70 applicants, established over 40 Chapters of Project HEAL across the United States, Canada, and Australia that work to raise funds to drive the mission and spread the values of Project HEAL. In the United States, it is estimated that 1 out of every 10 Americans—20 million women and 10 million men—suffers from a clinically significant eating disorder at some time in their life, including anorexia nervosa, bulimia nervosa, binge eating, or an eating disorder not otherwise specified. 90% of these people never receive treatment. Eating disorders have the highest mortality rate of all mental illnesses, and carry with them a host of negative medical and psychological consequences, including osteoporosis, electrolyte imbalances, depression, and death. However, with proper treatment, full and lasting recovery is possible. As an ambassador, I spend time networking in the recovery community to help spread the word on the many services that Project Heal provides. Fundraising events include Dine 2 Donate events, HEALing yoga, Shop 2 Donate, wine & canvas events, ice cream socials, and other fundraising opportunities in order to help those struggling with an eating disorder recieve proper funding and treatment. "What is an Eating Disorder and How To Help Sufferers Recover"
Heroes in Recovery has a simple mission: to eliminate the social stigma that keeps individuals with addiction and mental health issues from seeking help, to share stories of recovery for the purpose of encouragement and inspiration, and to create an engaged sober community that empowers people to get involved, give back, and live healthy, active lives. Share your story, give back, and get involved here. When I found out about the West Nashville Dream Center, I knew this was a place I needed to spend some time. Cross Point Church build this safe haven for those in the neighborhood to worship, fellowship and find peace, joy and hope. They also provide emergency food assistance, recovery groups, neighborhood outreach programs, a community garden, and much more. For more information on how you can serve with the West Nashville Dream Center, click here. Sharing my story with the women of Mending Hearts made my heart so full. They strive to provide life-enhancing recovery options along with shelter, hope and healing. Everyone that enters their programs are treated with love and respect, regardless of any past or presenting challenges. This facility has proudly served over 3000 women since 2004. Find out how you can get involved here. I'll never forget the time I heard the CEO of Nashville Rescue Mission speak at their semi annual employee meeting. His passion and love for each and every person in the room was felt on such a deep level. I could hear in his voice how committed and dedicated he is to the organization and their mission to provide hope for today, hope for tomorrow, and hope for eternity to the hungry, homeless, and hurting. Volunteering at the women's campus is a great way for me to give back. Check out the many ways you can serve Nashville Rescue Mission here. The Next Door is a non-profit organization dedicated to serving women in crisis, equipping them for lives of wholeness and hope. The Next Door provides services to women who are impacted by addiction, mental illness, trauma and/or incarceration. 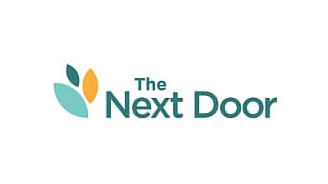 In recognition of the common need among residents for mental health and addiction counseling, The Next Door provides an integrated model to address the co-occurring disorders. The Next Door is the only facility in Nashville that provides the full recovery experience from detox to independent living. Get involved by leading a group in spiritual wellness, help serve lunch, be a walking buddy, assist at special events, and more! Thistle Farms' mission is to HEAL, EMPOWER, AND EMPLOY women survivors of trafficking, prostitution, and addiction. They do this by providing safe and supportive housing, the opportunity for economic independence, and a strong community of advocates and partners. They believe that in the end, love is the most powerful force for change in the world. Spend a few hours volunteering in the Home and Body Warehouse where you would be working with Thistle Farms staff to prepare the beautiful, hand-made products for shipment. These volunteer opportunities are offered on Wednesday/Thursday and are posted on our website. They also offer volunteers the opportunity to assist in our Shop at Thistle Farms and the Cafe at Thistle Farms. All volunteers must be older than 16 years old. Reserve your spot HERE.